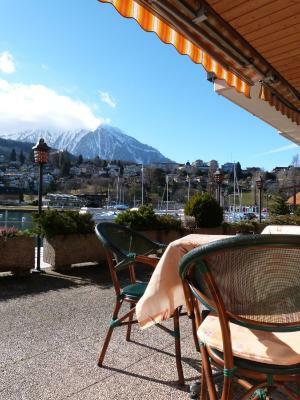 Lock in a great price for Hotel-Restaurant Seegarten-Marina – rated 8.6 by recent guests! We loved our stay! The room was very nice and the breakfast was wonderful. Walkable to restaurants and shops. 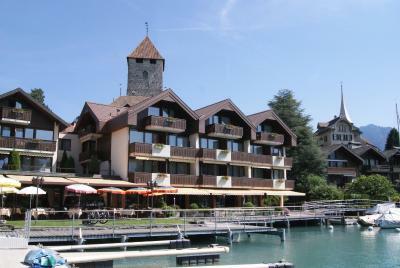 The views and location right on the lake made this hotel particularly special. Thank you for your hospitality! 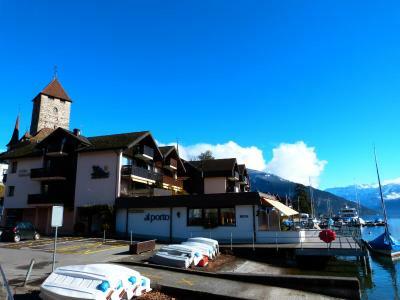 Proximity to the lake ferry and the town castle was awesome. Great breakfast selection. Loved historic feel, balcony view and friendly staff. The restaurant in the hotel was really nice. Great food and very friendly staff. Location is really good, otherwise it's what you'd expect from a hotel. They have a restaurant which is fine, you could order "large food" until 21:00 and "small food" until 22:00 from what I remember. 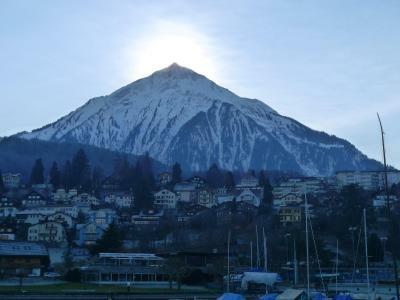 Don't expect to get food very late in the evening in Spiez. Good breakfast and restaurant food. Room was a good size by Europe standards. Hotel staff was very friendly and helpful. The local Panorama Card was a nice benefit. Close to local swim beach. The weather closed in and so we spent more time at the hotel than planned, so glad it was a nice place. Breakfast on the terrace in the sun by the marina was lovely. 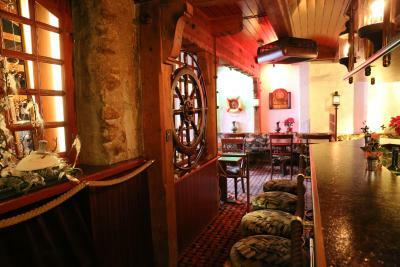 The hotel is situated right next to the marina and near to the castle and ferry landing stage. Hotel staff are excellent. Our room had a balcony and tea and coffee facilities. Hotel restaurant was good too. The view was good and the manager was very supportive. Good staff, they help me everything. Good taste, excellent and delicious. This hotel, staff and food were exceptional and I'd recommend it to anyone with one exception. You cannot walk to it and must take a taxi (no other means other than by car). This being said, I'd still stay here even having to pay a taxi 8-9 euro each way. 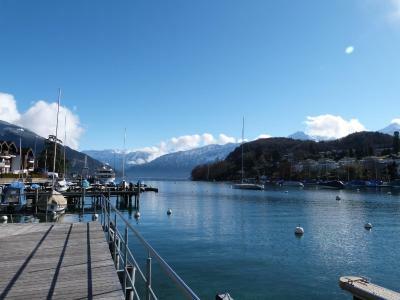 Hotel-Restaurant Seegarten-Marina This rating is a reflection of how the property compares to the industry standard when it comes to price, facilities and services available. It's based on a self-evaluation by the property. Use this rating to help choose your stay! 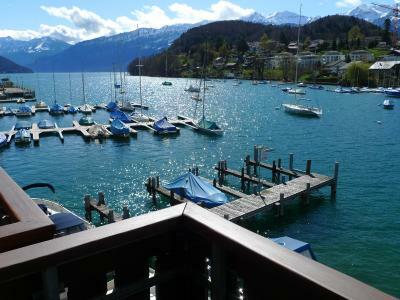 Hotel-Restaurant Seegarten-Marina in Spiez is located right on the shore of Lake Thun and offers you panoramic lake and mountain views from most of its rooms and from the restaurant terrace. 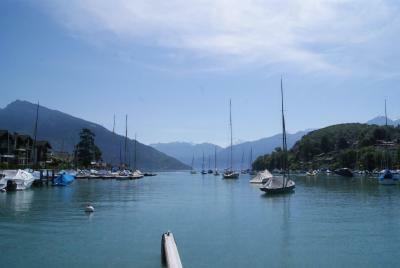 The boat station is only a 2-minute walk away. The Restaurant as well as the famous terrace next to the water invite to taste delicious fish, home-made pizza and other specialties as well as great wines in extraordinary surroundings. 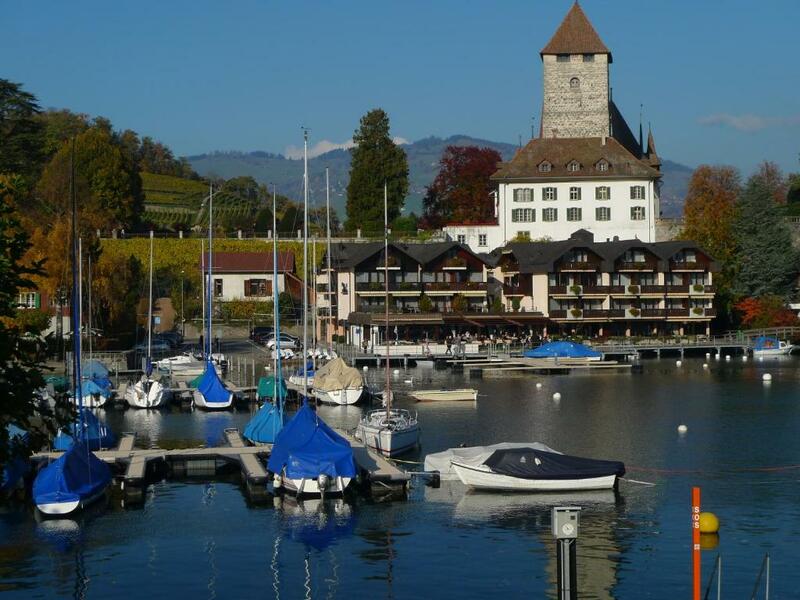 Spiez is an ideal base for all excursions to the Bernese Oberland, offering great connections by train, boat and bus. 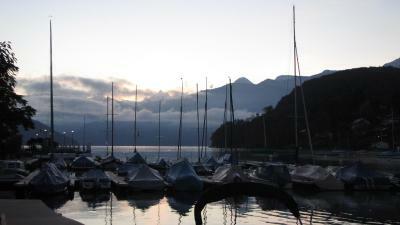 The train station is a 15-minute walk away from the Hotel-Restaurant Seegarten-Marina. 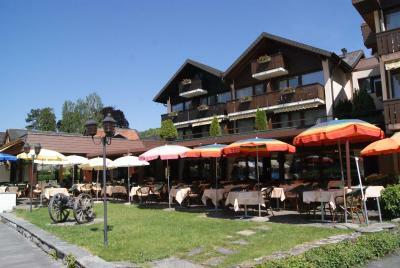 When would you like to stay at Hotel-Restaurant Seegarten-Marina? 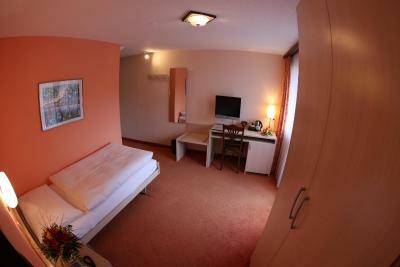 Room with castle view, a seating area, cable TV and balcony. 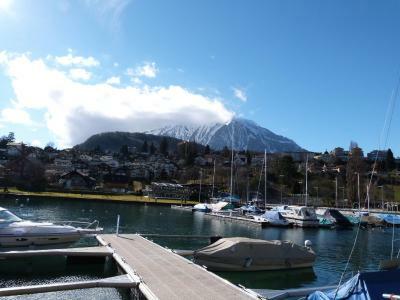 Public parking is available at a location nearby (reservation is not needed) and costs CHF 7 per day. 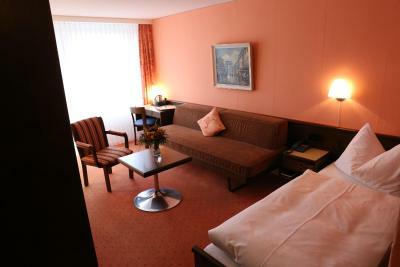 Rooms with castle view, a seating area and cable TV. Most rooms offer a balcony. This double room has a patio, seating area and electric kettle. 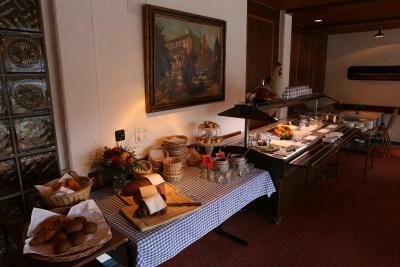 House Rules Hotel-Restaurant Seegarten-Marina takes special requests – add in the next step! 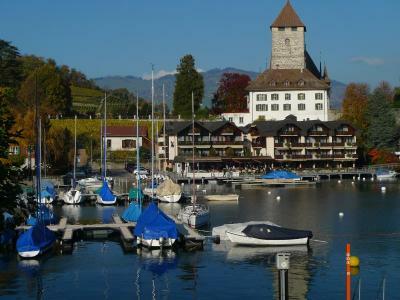 Hotel-Restaurant Seegarten-Marina accepts these cards and reserves the right to temporarily hold an amount prior to arrival. Price okay, location good just along the coast of the lake, very quiet environment, restaurant very expensive but food is just so so. 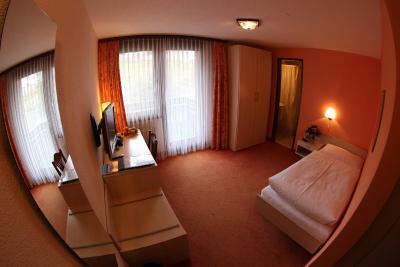 The rooms have great views and big enough, but bed is too small and furnitures very aged. 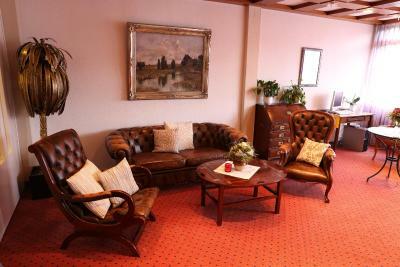 Nice location, very close to lake and castle. This hotel has a nice setting on the marina. We had an excellent dinner at the hotel. Our server was great, she made dinner fun and even better, wish I could remember her name. The room was quiet overlooking the castle. Very friendly staff and breakfast was good. Also enjoyed oyr evening meal in the restaurant. Very nice food and a good choice menu. 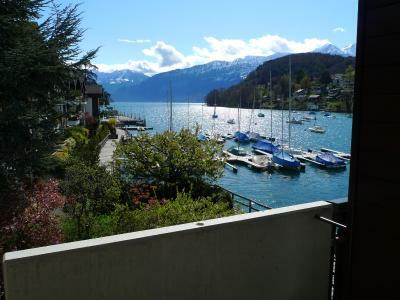 Great location by the lake; good views from our spacious bedroom looking over Spiez Bay and the Niesen; friendly and helpful staff. 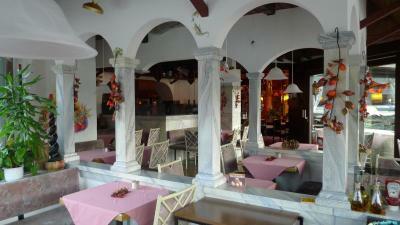 Dining areas inside and on terrrace. Useful parking nearby. 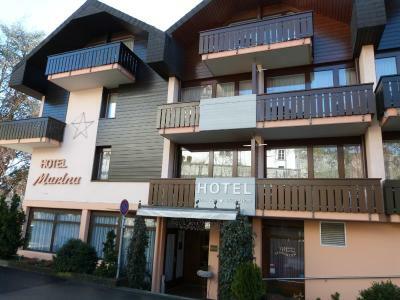 The hotel is down from the main town by a reasonable up hill walk to shops and public transport. le bruit du festival rock! The receptionist was extremely friendly and helpful!